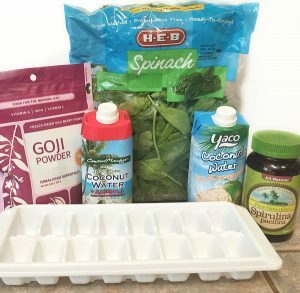 Freezing spinach can help speed along the smoothie making process! I hardly make smoothies anymore without greens and/or superfoods included. One of the easiest ways to make a green smoothie is to throw in spinach, which is loaded with nutrients. What really saves time and prevents produce from going bad is freezing it. 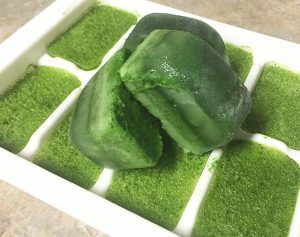 I’ve seen tips on freezing spinach juice but I decided to take it to another level by preparing superfood spinach cubes! Start by setting out everything you want to freeze. Of course you will need an ice cube tray! I prefer to blend my spinach with coconut water to pack in as many benefits as possible. For my super foods I chose goji powder and spirulina. The whole process takes 3 simple steps. -Blend the spinach, coconut water and superfood powder of choice together. (I froze two different types at one time so I blended each separately). 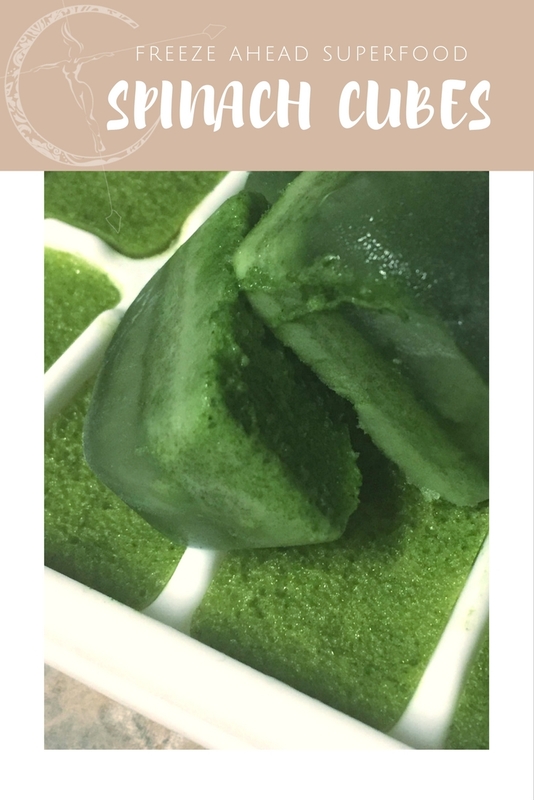 -Pour the green goodness into an ice cube tray carefully. -Place in the freezer for future use! 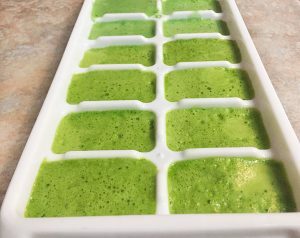 Once frozen you can pop one or two cubes in with the rest of your smoothie ingredients and blend away! These are great to keep on hand for when you want to quickly power up a smoothie of any kind. Adding spinach to your smoothies is a secret weapon that makes it so much more than just a filling meal on the go! Spinach is high in fiber, protein, vitamins and minerals. Besides getting in a serving of vegetables, spinach can boost your immune system, alkalize the body, lower blood sugar and aid in digestion. Coconut water is full of electrolytes, helps aid in weight loss and increases energy levels. With both of these together your body is getting a massive influx of helpful, natural foods with powerful elements. I read a great article here about why it is important to add greens, like spinach, along with different superfoods into your smoothies. With this make ahead option you can freeze a variety so you can constantly switch up what you are adding in each day! I would love to upgrade my basic ice try to a fun one! Think of all the interesting things you could make with one of these!